No ductwork, no problem – Premium comfort for up to nine separate spaces. The K Multi-Zone Ductless System, part of the Evolution® System, can provide comfort to a single large room, or throughout your home. 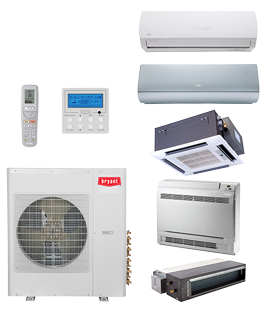 Our premium ductless offering, it provides the flexibility of connecting up to 9 indoor units. From the hot summer days, to frigid winter nights (down to -4°F), this system can keep you and your family comfortable.